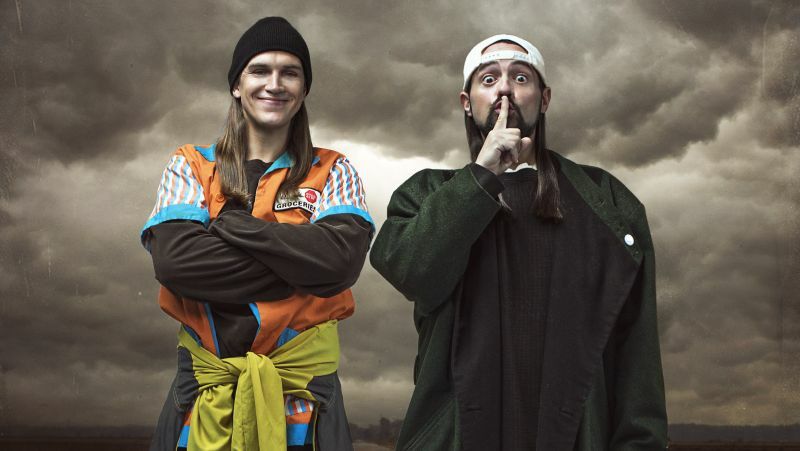 Production Wraps on Jay and Silent Bob Reboot! Director Kevin Smith took to Twitter this morning to reveal that production has wrapped on the upcoming Jay and Silent Bob Reboot. Smith and Jason Mewes are reprising their title roles alongside other stars (and new faces) from the original film. Jay (Mewes) and Silent Bob (Smith) were first introduced 25 years ago in Smith’s directorial debut, Clerks, and continued to appear in Smith’s cinematic canon including Mallrats, Chasing Amy, Dogma, Jay and Silent Bob Strike Back and Clerks II, as well as the animated film Jay and Silent Bob’s Super Groovy Cartoon Movie. The new movie will take jabs at reboots, remakes, and sequels while simultaneously being all three at the same time. Saban Films is planning to release the sequel theatrically. Universal Pictures Home Entertainment Content Group acquired all foreign rights to the movie. Jordan Monsanto of Smodco is producing alongside Liz Destro for Destro Film.